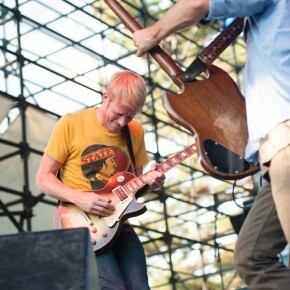 Nothing quite says “Hot town, summer in the city” in Salt Lake City like the Twilight Concert Series, which launched its 2013 season on Thursday with Glasgow indie-pop band, Belle and Sebastian, and Portland’s Blitzen Trapper. An estimated 14,000 fans happily braved the near 100 degree heat, turning Pioneer Park into an urban music festival venue, one that will welcome new national acts each week through the summer. 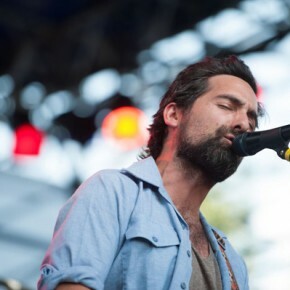 While opening acts sometimes play to hostile audiences, the crowd greeted Blitzen Trapper with enthusiasm. They were rewarded with the band’s signature brand of accomplished, earnest alt rock mixed with folk and a twinge of country. The crowd was as cheerful and mellow as the music, throwing beach balls, dancing, and enjoying the abundant offerings of the ever-expanding Twilight Market. 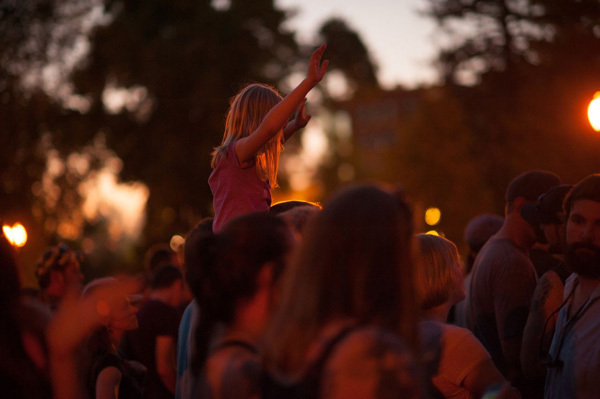 The Twilight Concert Series, which has now been around longer than its younger fans, will be offering a different lineup every Thursday night through Sept. 5. Upcoming acts include Flaming Lips and CSS, The National and Sharon Van Etten, Grizzly Bear and Youth Lagoon, Erykah Badu, the recently announced Ludacris, Kid Cudi and King Chip, Empire of the Sun, and MGMT and Foxygen. 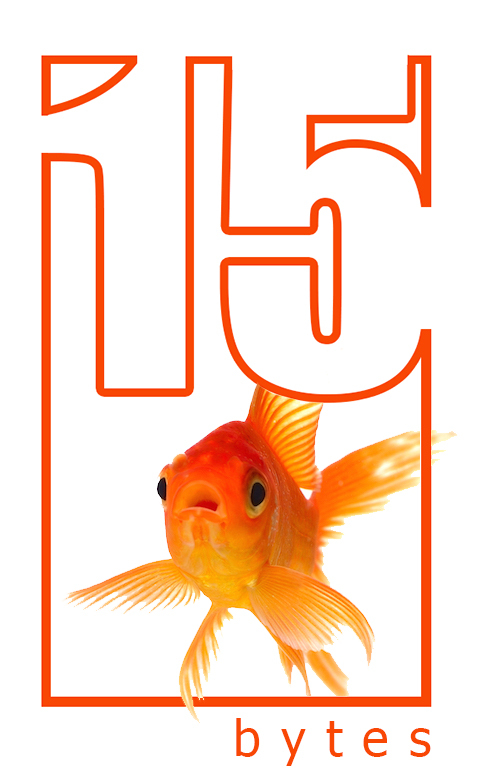 New this year, each concert is $5. Season tickets are available for $35. For more information visit http://twilightconcertseries.com. Eric Early of Blitzen Trapper. Photo by Will Thompson. Eric Early and Erik Menteer of Portland’s Blitzen Trapper. Photo by Will Thompson. 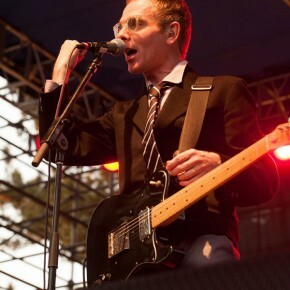 Stuart Murdoch of Belle and Sebastian. Photo by Will Thompson. 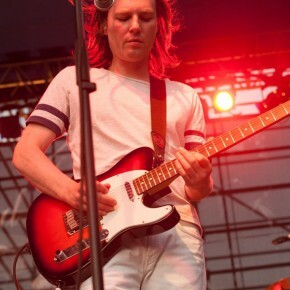 Bobby Kildea of Belle and Sebastian. Photo by Will Thompson.